Former Jersey boss Craig Culkin has admitted it has been "slow progress" as he looks into the feasibility of setting up a Jersey Football Club to follow in the footsteps of Guernsey FC. after a row with the Jersey Football Association over selection. He has since been potentially competing in English leagues like Guernsey FC. "It's something that I'm determined to get done," said Culkin. "I think the game needs it, the players need it and the public are calling for it. "It's been slow progress. There have been discussions and there are certainly one or two interested parties and it's just looking at the feasibility. "It's finding the right people that believe in the brand and are willing to invest in it - £300,000 to approximately £500,000 per year is a lot of money." Guernsey FC have played in the English leagues since 2011, with the club running alongside the island 'national' team and the smaller club sides within Guernsey competing in the Priaulx League. Meanwhile, Jersey FA officials have continued to focus on developing the game within the island, the annual Muratti clash, occasional tournaments, and friendly matches. In total 17 teams feature in the island's Premiership and Championship divisions. "What we've got in Guernsey is a team of people that, for the first time, would be willing to help support us and share business plans, finances and how they've put their little baby together," Culkin told BBC Radio Jersey. "The biggest challenge is getting a network of partners financially that are willing to back this. "Whether it will materialise or not remains to be seen, but it's certainly not for a lack of exploring this." However, Culkin thinks taking the better players to feature in a Jersey FC squad would actually increase the competitiveness in the Jersey Premiership. "It would certainly make the league more open," he added. "I think that the pros far outweigh the cons of setting up a Jersey Football Club. "By taking a core group of players out, it would make the league more interesting and would open the title up to other teams to win." Jersey's national side has been without a boss for more than four months but an announcement on Culkin's successor is expected in the next few weeks, with the island due to face Army 26 Engineers at Les Quennevais on Monday, 20 October. 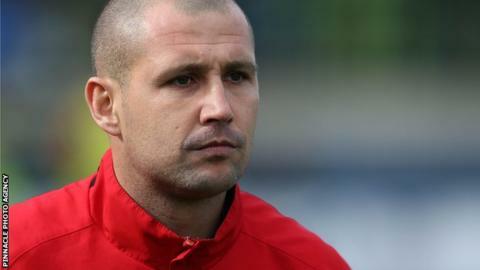 The interview with Craig Culkin will be broadcast on BBC Radio Jersey's Sportscene on Saturday, 20 September 2014.